Marjorie is an award-winning theatre artist based in Toronto. Trained as an actor at George Brown Theatre School, Marjorie garnered a nomination for the Dora Mavor Prize in her first appearance onstage. She is the recipient of a Dora Mavor Moore Award in performance as well as the prestigious K.M. Hunter Artists' Award. 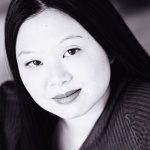 As a playwright, her acclaimed drama China Doll was nominated for several Doras, including Outstanding New Play and Outstanding Production as well as the Governor General's Literary Award. China Doll was also performed overseas as a part of Festival Canada Hong Kong. Other full-length plays include a nanking winter and The Madness of the Square. Along with playwright Damien Atkins, she adapted Hisashi Inoue's celebrated play about Hiroshima, in the garden, two suns, which was commissioned and performed to coincide with 60th anniversary of the dropping of the atomic bombs. As a librettist, Marjorie wrote the short opera Mother Everest, which also aired nationally on CBC Radio as well as Sanctuary Song, both with composer Abigail Richardson. She has also provided text for the multidisciplinary dance piece, Nanking Monologue. Invitations to festivals and retreats include: Playwrights' Colony (Banff), Cahoots Playwriting Retreat @ Shaw, CrossCurrents Festival (Factory), Groundswell Festival (Nightwood Theatre), International Festival of Authors (Harbourfront), Dim Sum Festival (fu-Gen Theatre), Seedling Festival (Theatre Direct Canada), Hysteria Festival (Buddies in Bad Times), RED Festival, and the inaugural Stratford Writers' Retreat. Marjorie has also been Playwright-in-Residence for Theatre Direct Canada as well as Playwright-in-Residence and Associate Artistic Director for Cahoots Theatre Projects.